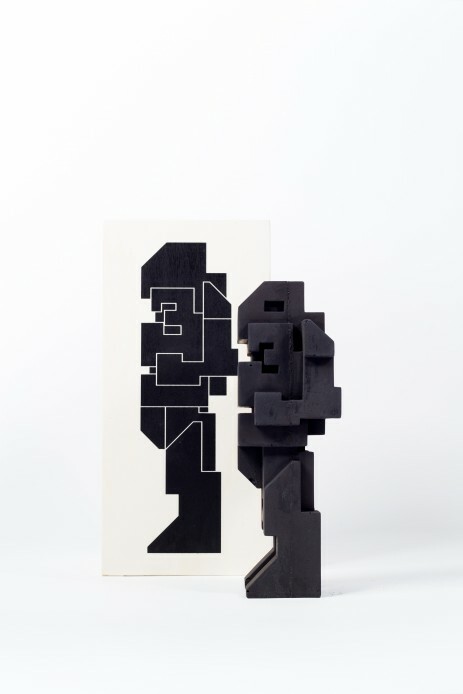 This iconic work by Boris Tellegen was originally designed in 2005 and executed in a 4,5m large wood sculpture for an exhibition in Pittsburgh. For Boris it made sense to execute this ‘toy’ robot again in concrete this time, the least child friendly material you can imagine. A nice contradiction and a beautiful material to work with. 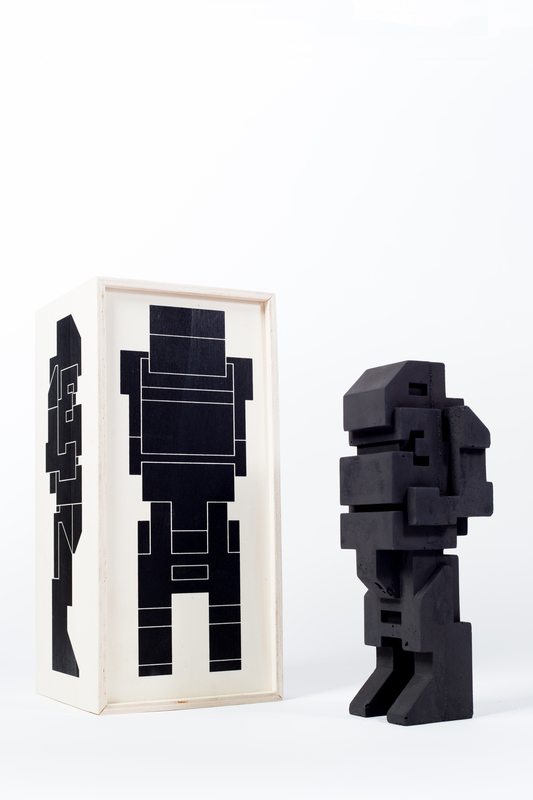 The robot is made from the letters from Boris Tellegen’s graffiti name D-E-L-T-A. This ‘BLACK’ concrete sculpture measures 28cm. tall in an edition of 12. It comes in a screen printed wood box with a certificate of authenticity. Each sculpture is signed and numbered individually by the artist.